and at the same time the second begins to walk north at a rate of 3 miles per hour. 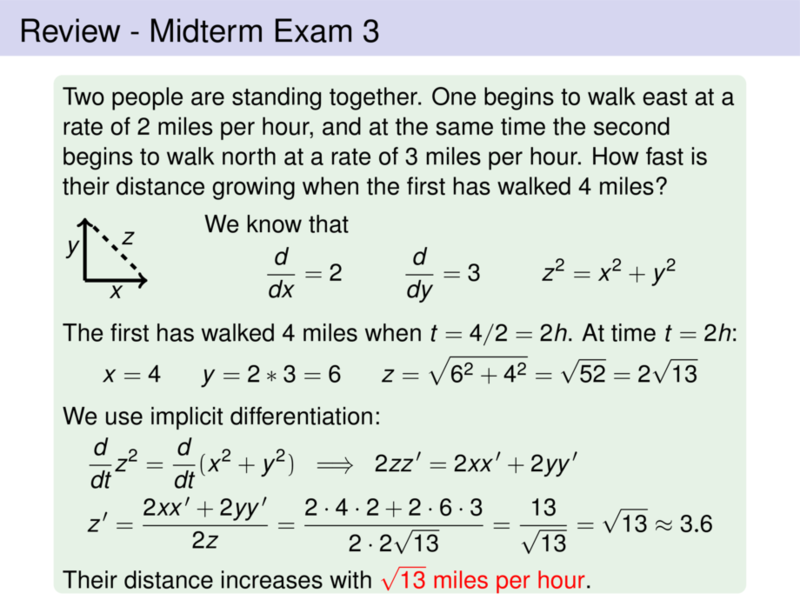 How fast is their distance growing when the first has walked 4 miles? The first has walked $4$ miles when $t = \pause 4/2 = 2h$.